Patricia (Pat) Somers has been boating with her husband Brad Somers, Rear Commodore SW Ontario (Ret.) and Port Captain for Amherstburg (D-82) and Bob Lo Island (D-86), Ont. since the early 1980s. Now that she is a retired (sort of) health care executive, Brad and she look forward to spending July and August on Somerscape their 37-foot cruiser traveling the Great Lakes. Pat continues to consult internationally for Accreditation Canada (a Canadian health care regulatory body), but is adamant about keeping July and August devoted to their boating passion. Pat and her husband have been members of the Great Lakes Cruising Club for well over 30 years. In fact, it was Pat who bought Brad their first year GLCC membership as a Christmas present in 1982. 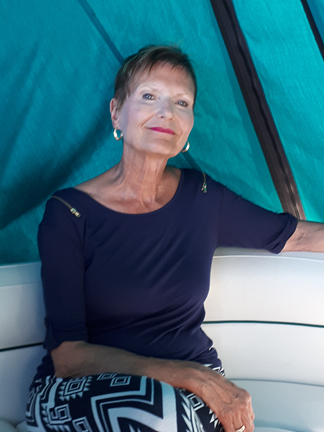 While membership was originally pursued for the wonderful navigational charts, Pat has discovered many new friends and learning’s over the years that have contributed to her honing her first mate skills. She is looking forward to her role as Dual Port Captain for Amherstburg and Bob Lo Island by supporting the GLCC with up to date harbor information as well as continuing to champion the merits and value of the GLCC throughout her travels.